I know!! I am early to the game this year and I am sure some brands are yet to release their advent calendars. But, the plan is, to update this post as new launches happen. If you want to know what is on this years beauty advent calendar menu and hear my thoughts on if they are worth the spend then you have come to the right place! One of my favourites each year is from luxe brand L’Occitaine. Not only do L’Occitaine make some of the best skin and body care, they also do THE most adorable minis. There are two options available here. The Classic Advent is €59 (worth €99) and the Deluxe Advent is €99 (worth €126.50). Available in Store or Online NOW. The Classic Advent calendar 2018 €59 contents are just as lush as the packaging. This edition really focuses on body and haircare with a nice Verbena Eau De Toilette thrown in for good measure. You can see the full contents list on the website. I didn’t want to ruin the surprise for you. The Deluxe Advent €99 is just as satisfying. The design is fun and interactive making the search for your daily treat even more enjoyable. Containing 24 of their best selling products, this is a great way to discover some new must haves or simply have your beauty favourites in travel friendly minis. Compared to the classic version this contains some skincare favourites as well as all the body and haircare favourites. Again, check out the full list of contents here. When comparing the two the difference is the price of the products in each and the size. I personally love the Classic because I tend to use the body care more than the skincare but if you are a fan of the skincare then the Deluxe is a nice treat. Marks & Spencers won the Beauty Advent Battle for me in 2017 and they are back again with what seems to be another cracker. In store from approx 6th November this includes 25 (one for Christmas day too, nice one) beauty products from brands such as Stila, Pixi, Ren, Eyeko, Nuxe and much more. It’s priced at £35 (approx €45) when you spend £35 in store on clothes, beauty and home. I will be all over this one for sure. Will you? Feel Unique’s ‘The Little Beauty Parcel – 24 Day Beauty Calendar’ €90 (value €300) is available here NOW. This advent contains treats from brands such as eos, First Aid Beauty, Percy & Reed, Nails Inc and even a Charlotte Tilbury treat. The contents range from a cult favourite lip balm to high quality skincare that is sure to get you party season ready. Lookfantastic’s Advent Calendar launches 1st October and is available here for €98 (worth over £300) . Again this contains 25 beauty favourites including tanning, makeup, skincare, haircare and lots more. If you are a fan of the monthly Beauty Box then I’m sure this will be right up your street. Just to note, if you are subscribed to their monthly box you will get 20% off the advent too. The Body Shop have three different Advent’s for 2018. The euro prices are not on their website just yet but once they are I will update the information. These will be available both in store and online. They are not released online in Ireland just yet the UK website has them all here. 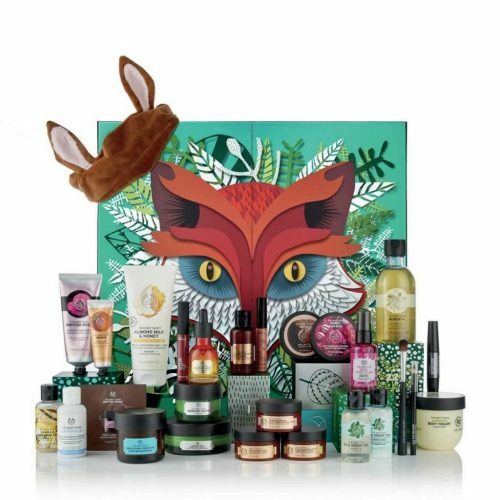 The 24 day Enchanted Advent Calendar £45 (worth £85) is full of Bath & Body, Skincare, Make up, Haircare & fun Accessories. 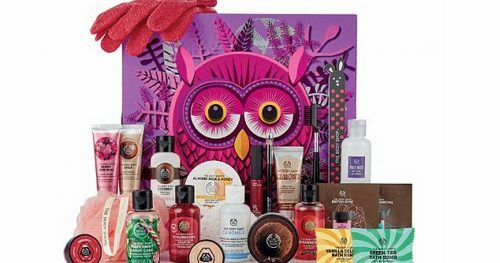 This contains lots of mini’s and sample size products but a nice gift if you want luxury without breaking the bank. The 25 day Enchanted DELUXE Advent Calendar £65 (Worth £121) includes bigger sizes and more luxurious products than the original 24 day Enchanted including a full size body butter, the new facial mists and a matte liquid lip. 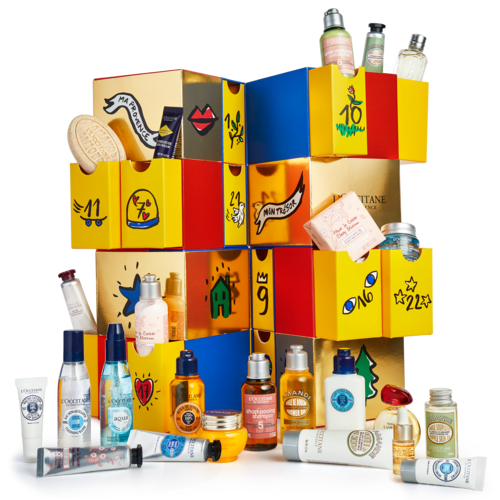 The 25 day Enchanted ULTIMATE Advent Calendar £99 (Worth £231) is definitely a real treat. It contains 14 full size products and lots of skincare goodies including their best selling face mask and much more. As of yet Charlotte Tilbury has not launched her Advent Calendar. However, HelloMagazine.com tell us all about it. Available for £150 including a mix of 12 full size and mini products including Pillow Talk Lipstick, a mini Magic Cream and lots more. Some websites mention an October release while Hello say its 11th September in Selfridges (order online if its not available here and you really ‘need’ it). Boots have a great Advent Selection this year and they are not only beauty related. Check out the full range here and if you want to see my favourite beauty buys then keep scrolling. The No7 Advent is always a hit every year. So much so that they sell out year after year. I know 2018’s launch will be no different. The No7 Beauty Calendar €50 (worth €240) includes all our favourite skincare, body and makeup favourites from the brand. It is so highly anticipated that they even have a waitlist. Sign up here to ensure you get yours. 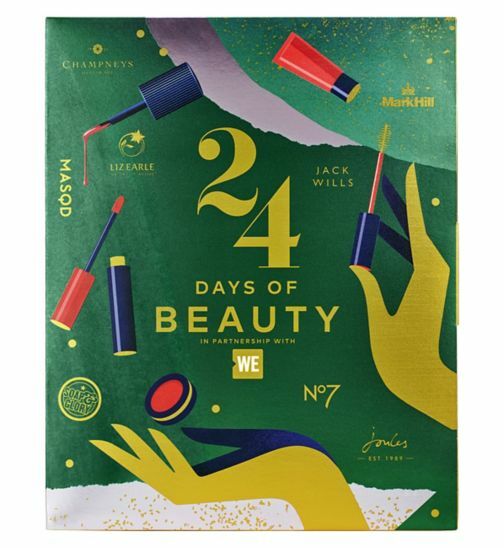 The WE Calendar 24 Days of Beauty €90 includes brands such as Liz Earle, Champneys, No7 and Jack Wills. For every calendar sold £2 goes to WE in support of their women’s empowerment programmes in developing communities. Available here once it is launched. 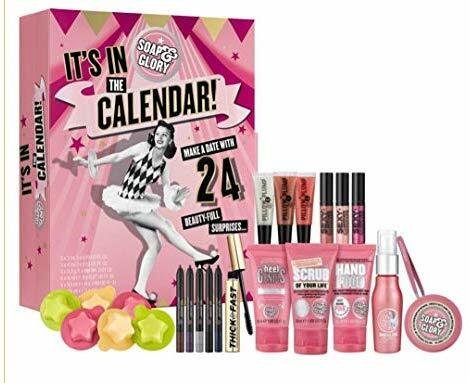 Soap & Glory It’s in the Calendar €50 contains 24 treats including some of our favourite body products, makeup and beauty tools. It does contain Body Wash pods which are only good for one wash I would imagine so just to be aware of this before you buy. Available here. I always really enjoy the Sleek MakeUp calendars and this years is no different. The Can’t Wait Another Day Advent €45 contains some of my favourites from the range including their matte lip creams, lip pencils, i-Divine eyeshadow palettes (which I raved about here just a few days ago) and a mountain of other bits and pieces. This is a great one for a makeup lover or someone trying to build on their makeup collection. Available here now. Liz Earle is another brand that always deliver great value Advents. 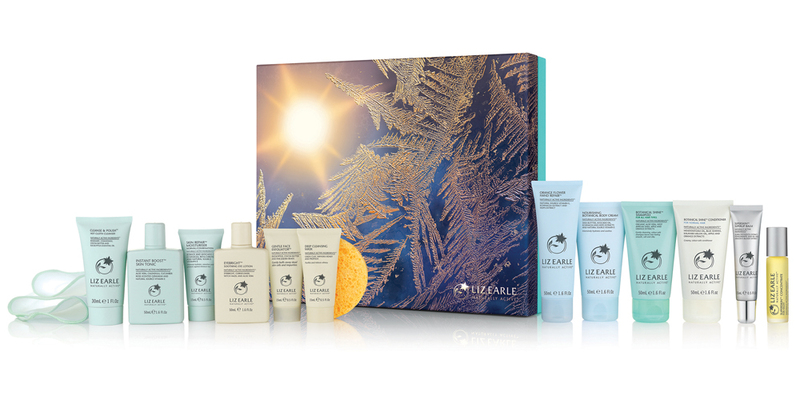 This years 12 Days of Liz Earle €100 contains 12 travel size skincare favourites, botanical bodycare and haircare heroes. This is a super way for someone to discover and enjoy the range before investing in the full sizes. I love this for anyone that loves Botanical skincare or even just skincare in general. I am a big fan of this brand so I would take great joy in discovering a new Liz Earle treat every day. Available here now. So there you have it. 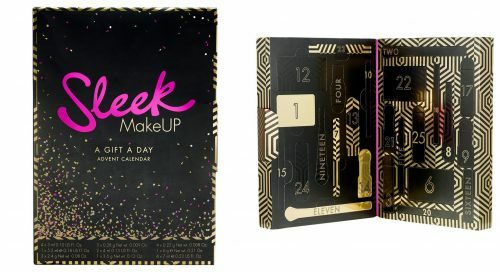 A look at some of the Beauty Advent Calendars hitting the beauty scene this year. Which one is your favourite and which one do you think you will be investing in this year? I think I will be forking out on the M&S and L’Occitaine one. Although, knowing me I will have 5 on the go at the same time. What can I say?! I like to treat myself! As I mentioned already, I will update this post as more advent’s release. If you don’t see your favourite mentioned here and think it’s worth talking about please comment below or DM me on my social media and I will be sure to update this post. Anyone else feeling a little overwhelmed by the Chrsitmas talk? The thing is, if you don’t act fast on some of these Advent’s then chances are you will miss out and we don’t want that do we?